I am all for throwbacks. I am all for uniforms that take some throwback elements. But the Wizards’ “Baltimore Pride” uniforms are juts a complete mess. The first issue presented are the sleeves. Once again, sleeves don’t need to exist. Secondly, the use of the Wizards’ colors instead of the old Baltimore Bullets colors make it a really odd design. 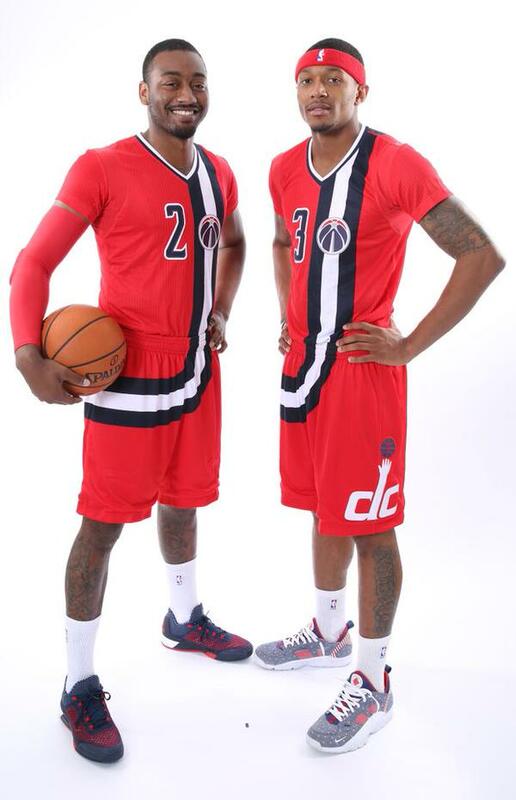 Of course the Wizards are promoting their own brand, so the use of their current colors make sense. But the biggest issue are the logos. If this is a “Baltimore Pride” uniform, then why does the uniform feature logos that feature the Washington Monument and the “DC” wordmark? That’s not Baltimore at all. The only thing Baltimore is the borrowed design template. Of course, this pride attempt is just another cash grab at people’s heartstrings. What a messy attempt to make something meaningful. Today is a bitter sweet moment for me. I'm officially announcing my retirement from pro basketball. I like to thank the organizations and fans in Charlotte, Phoenix, Orlando, Philly and especially The Bay Area for their loyal support the past 14 years. Walking away was the hardest decision I had to make but choosing my health and spending time with my family is more important to me! God bless! I remember when the Warriors drafted Jason Richardson. As a Michigan State fan, I was proud that the Warriors got this guy. I didn’t know if he would be the answer to helping the Warriors end their playoff drought, but he provided many theatrics. Everyone remember his dunk contest wins and they should. Those were the highlight for a Warriors team that didn’t look too good. But I still believed he can be great for the team because he was so talented. He just needed some help. I still own a Richardson jersey and he was the star on the team for many years. Even when the Warriors finally made We Believe happened, I was so stoked for him. He was a loyal man to the Bay and I was ecstatic to finally see him taste glory. This is my favorite moment. Sadly he would be traded and injuries would derail his career. But he will always be a part of the Bay Area. He will always be a fan favorite. He helped us believe. He made me believe. A true legend to the game and a great soul. ** I know this video was uploaded last week but this is new to me, so there. Check out the new animation right here. 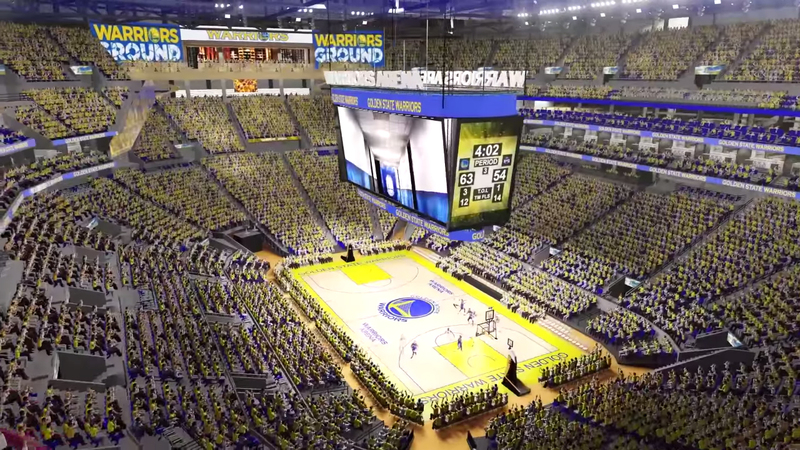 It really reminds me of Staples Center, which is kind of the idea the Warriors are looking for with a high-end arena with all the amenities and shops and grandeur presentation. I still want the Warriors to remain in Oakland. But I have to face the inevitable. But the inside looks real nice though. Earlier this month a leak showed what the Islanders could be wearing. The leak was accurate and now it’s official. Now that we have a full look at it, I still don’t like it. 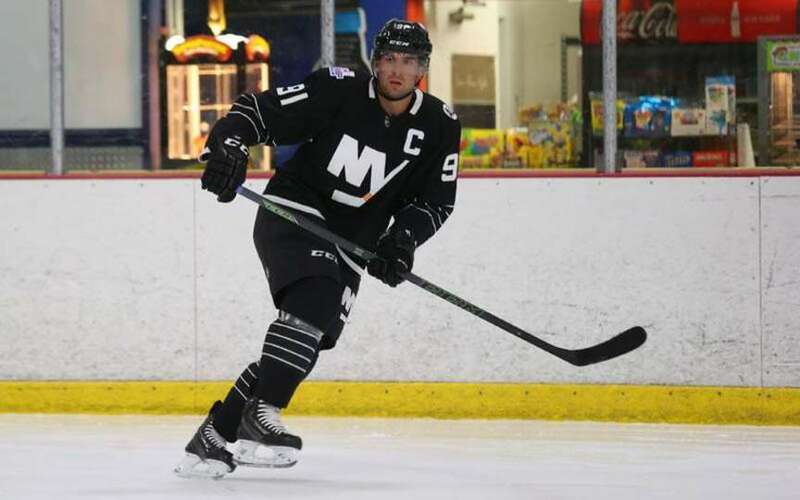 I think the Isles need to stick with their blue and orange colors. I like the Al Arbour patch but that’s really it. The color feels forced and even the four stripes for the four Cup titles feels forced. It’s kind of plain and boring. Not a fan at all. This was the idea that came up a few wees ago. What if the A’s called up Barry Zito and have him face former teammate Tim Hudson when the Giants and A’s meet later this month? Well, at least they are one step closer. I have always agreed with the A’s initial assessment of the Zito situation in which they won’t bring him up and start him over a younger player that could benefit from the experience. But with the A’s out of the race and the opportunity to do one kind of celebration for both of the team’s best pitchers, maybe this is OK. In a sense, it’s the A’s sacrificing one young player’s start for this potential occasion. Is it fair? Probably not. But at this point, it isn’t wrong. 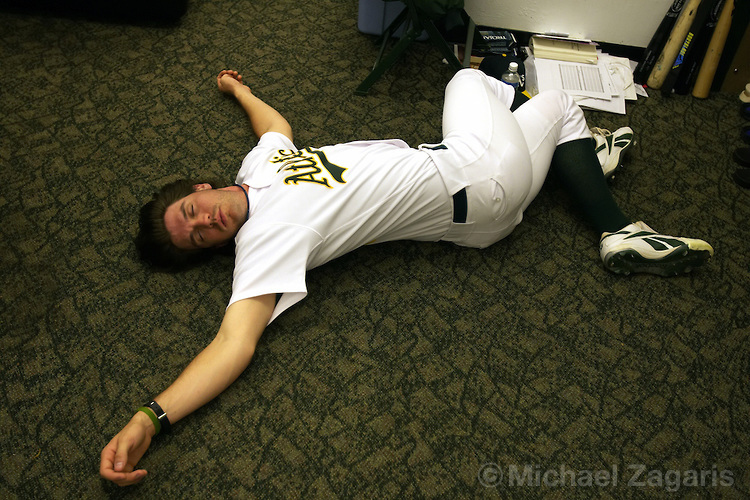 But at least for now, we get to see Zito pitch in the green and gold at least one more time hopefully. With the expanded 40-man roster, the team can afford something like this. And the opportunity is too perfect not to go for it. Wake up, Barry. You’re back in the show! So this is Adidas’ final stand? They are going to uglify the league before Nike takes over after two seasons. And they will do something completely unnecessary and useless to the identity branding to the Rockets. The Rockets’ identity was great. Sure, their home and road identity was outdated but it was still a very unique design. Their ketchup & mustard alt was a nice look, especially since it harked back to their championship colors. It was good. It didn’t need anything extra.